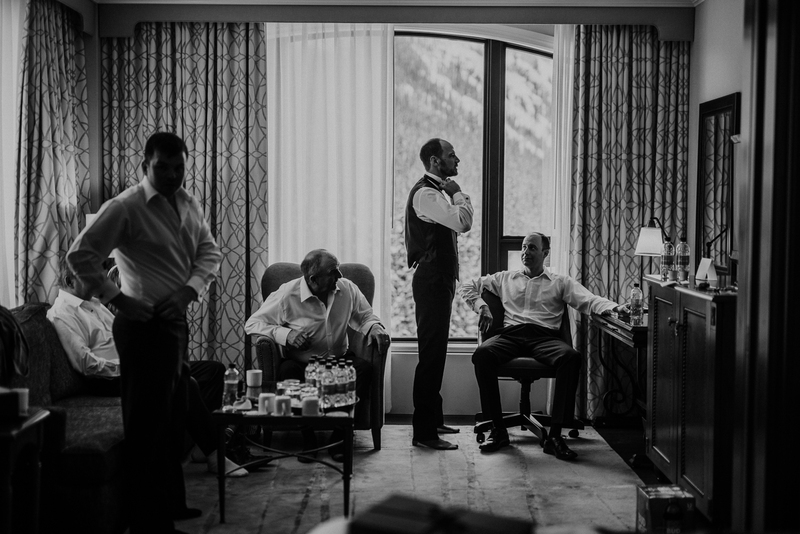 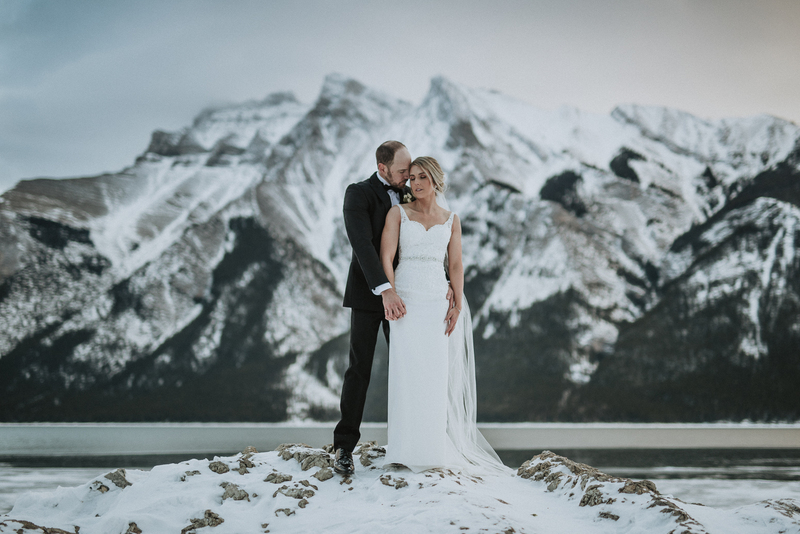 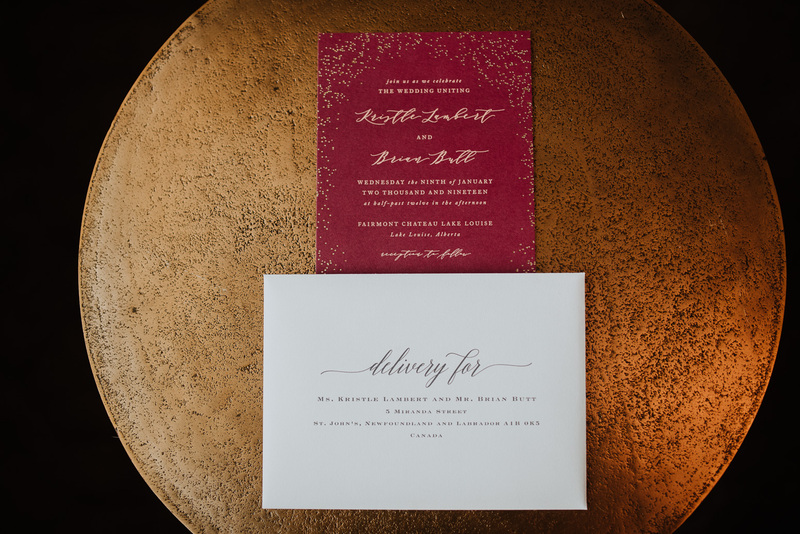 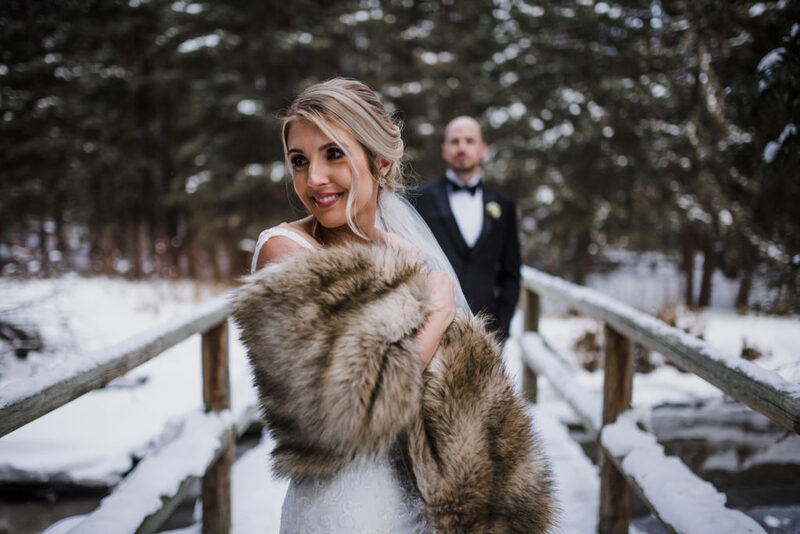 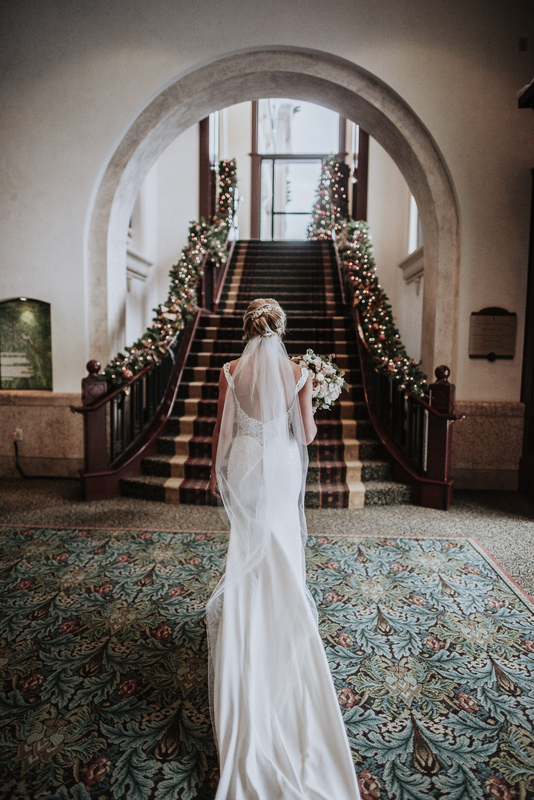 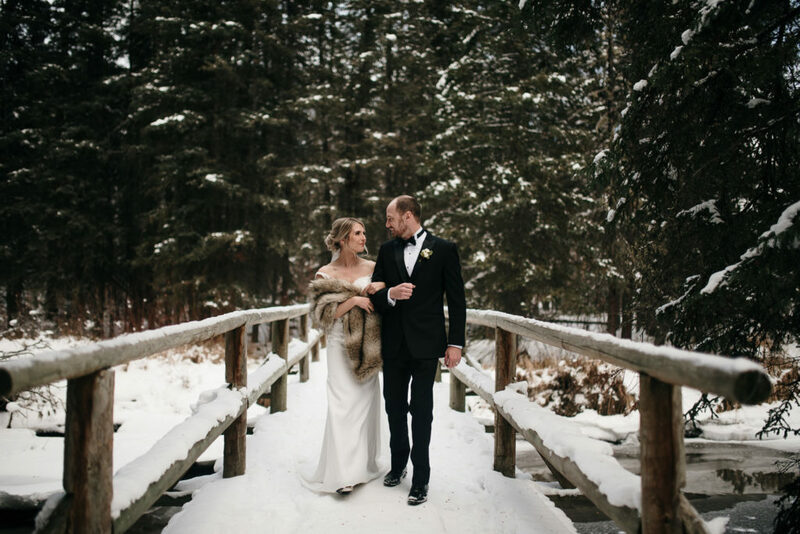 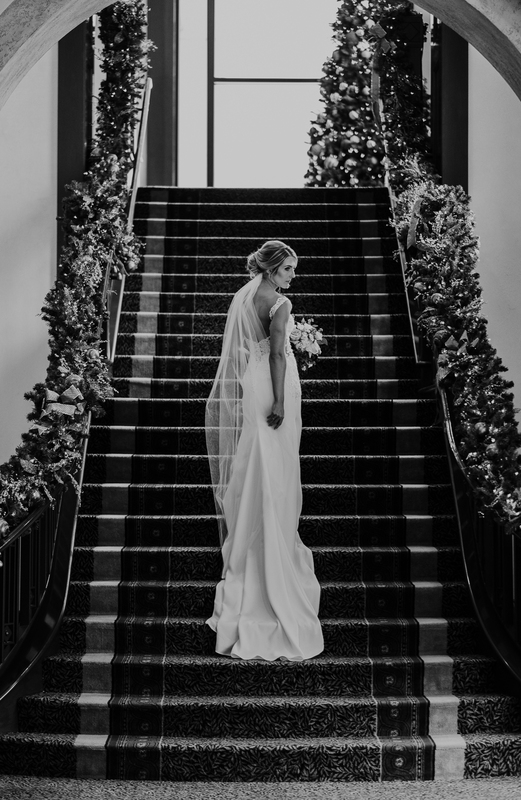 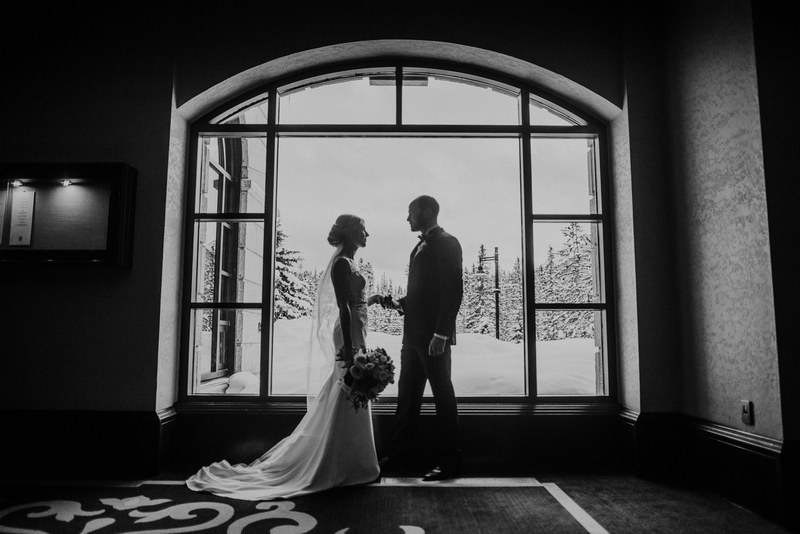 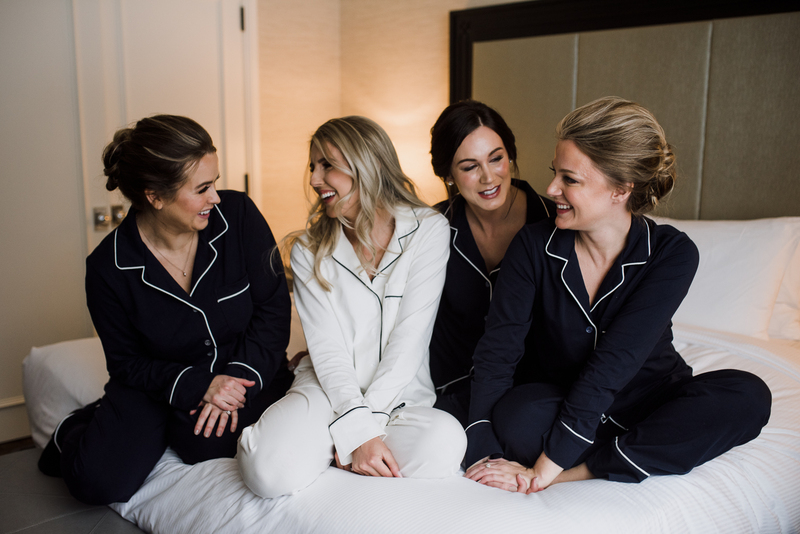 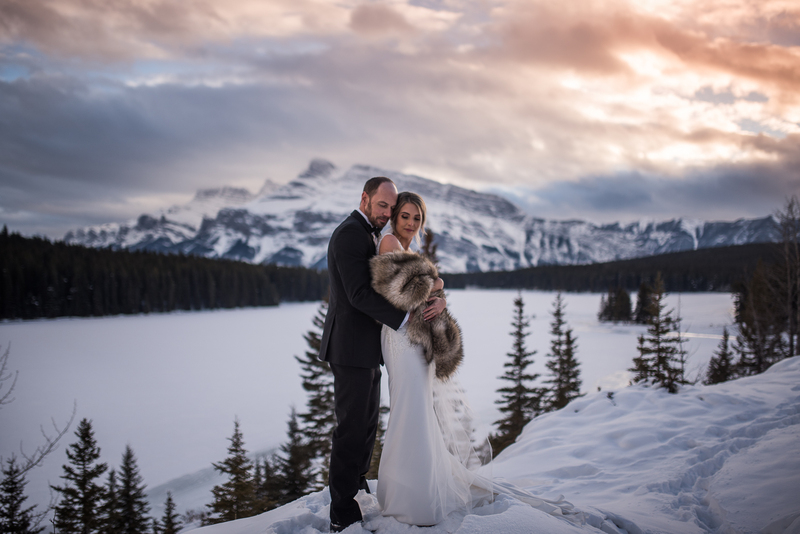 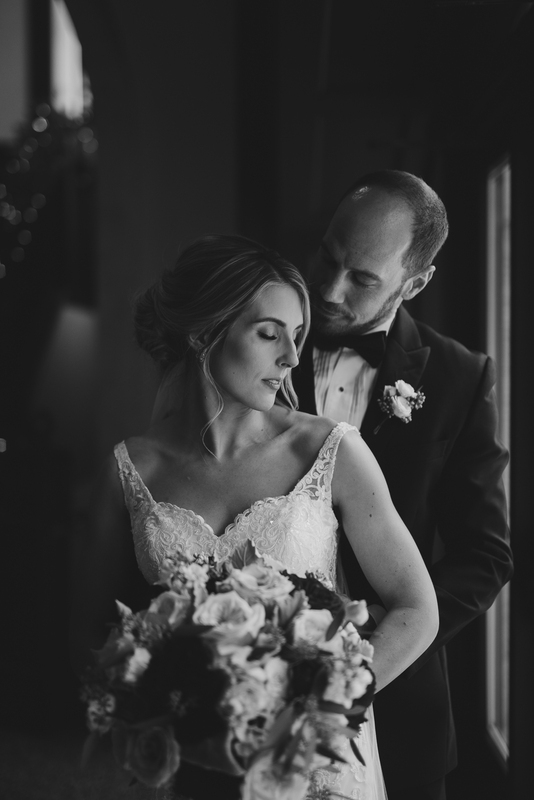 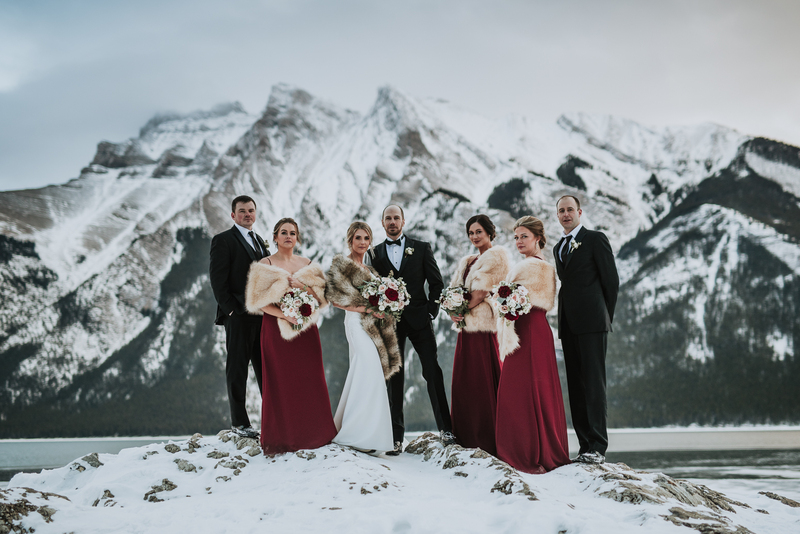 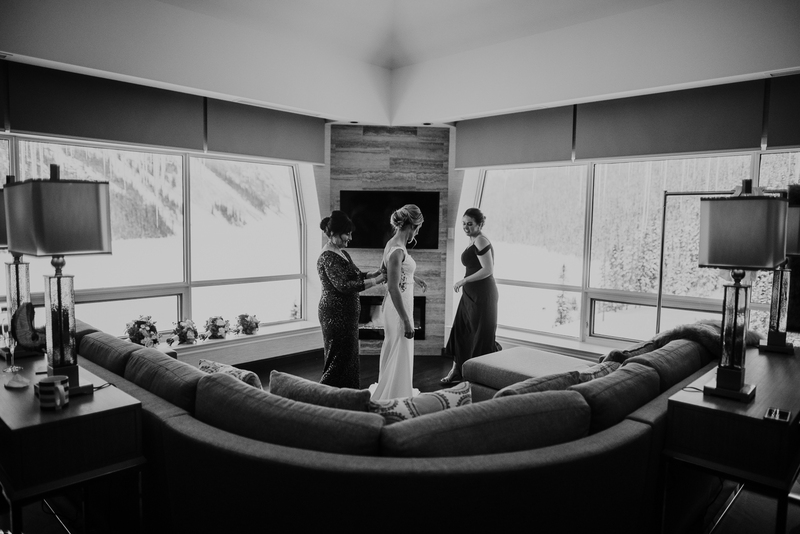 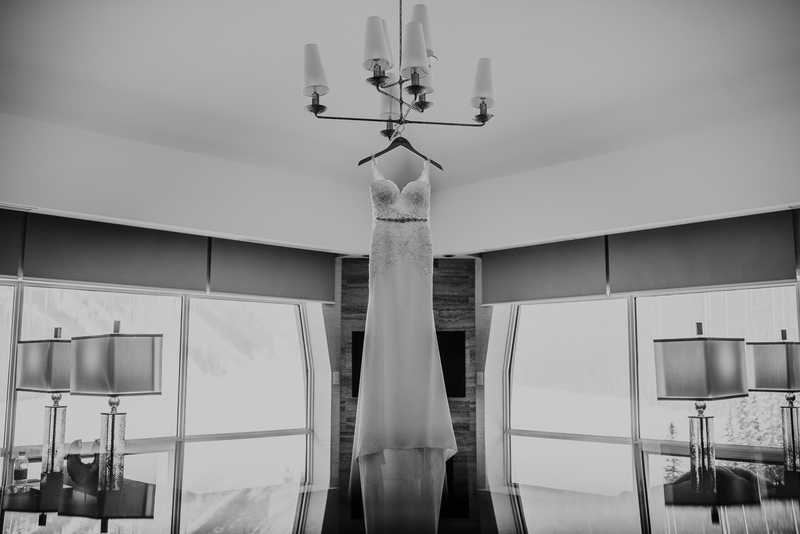 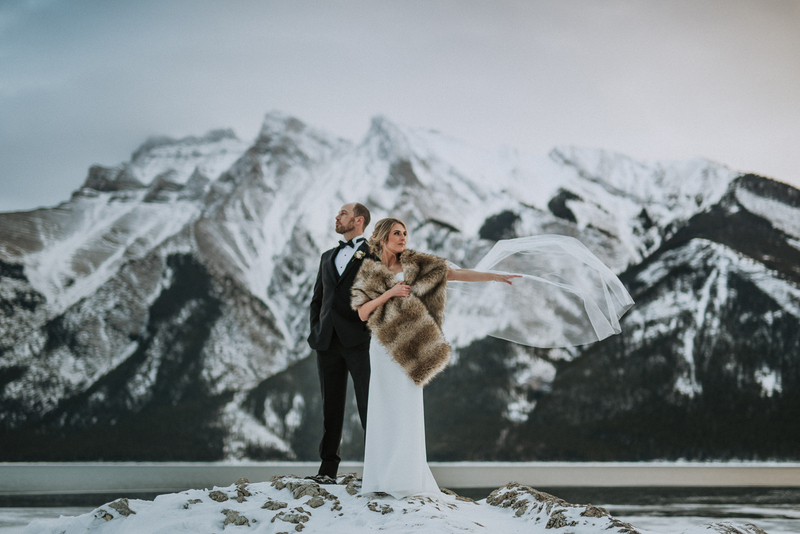 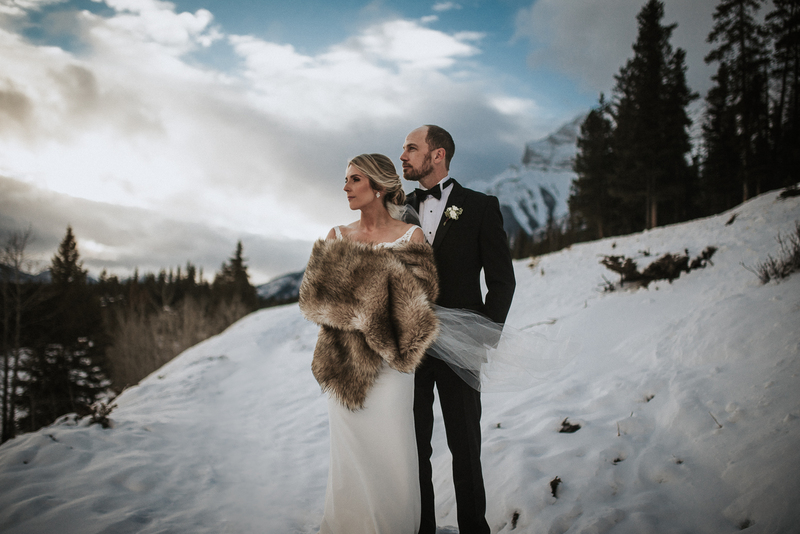 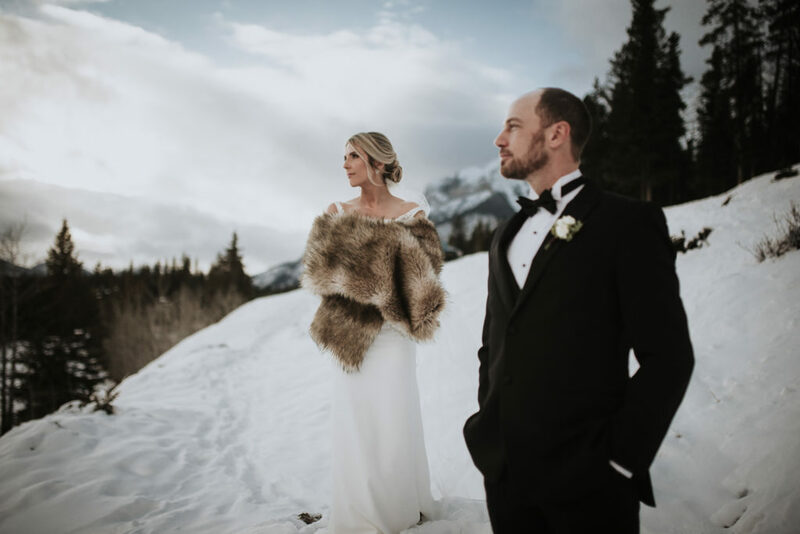 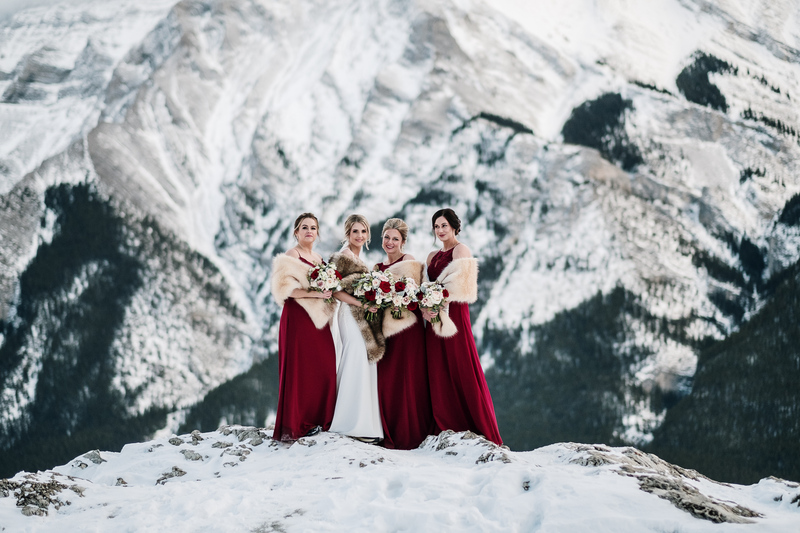 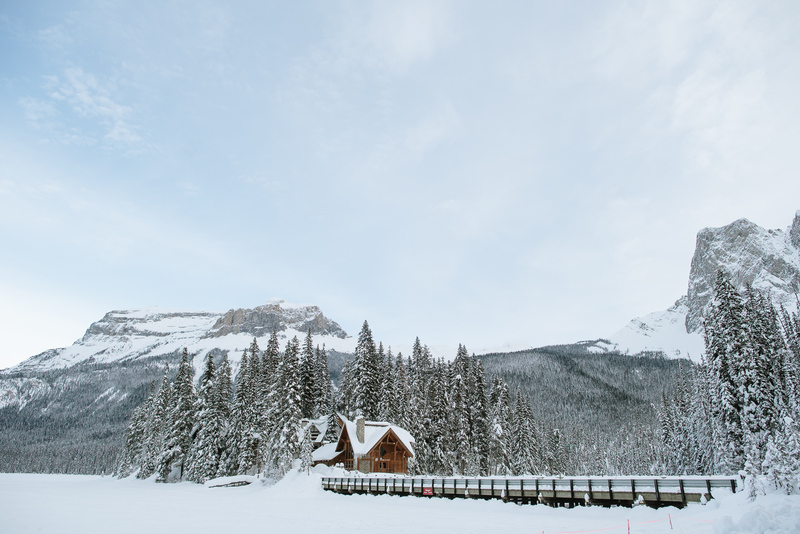 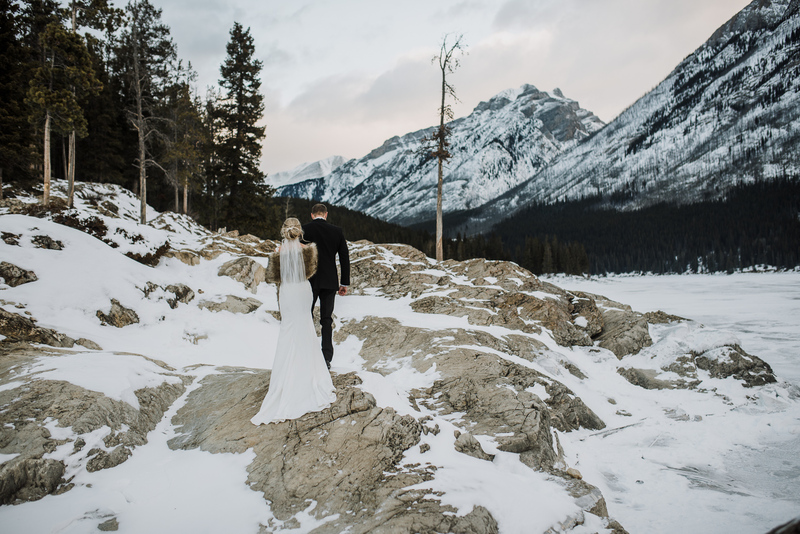 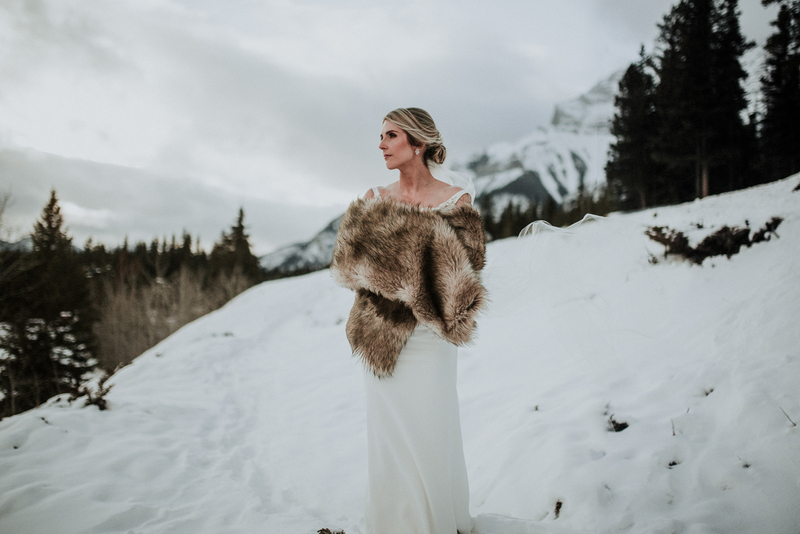 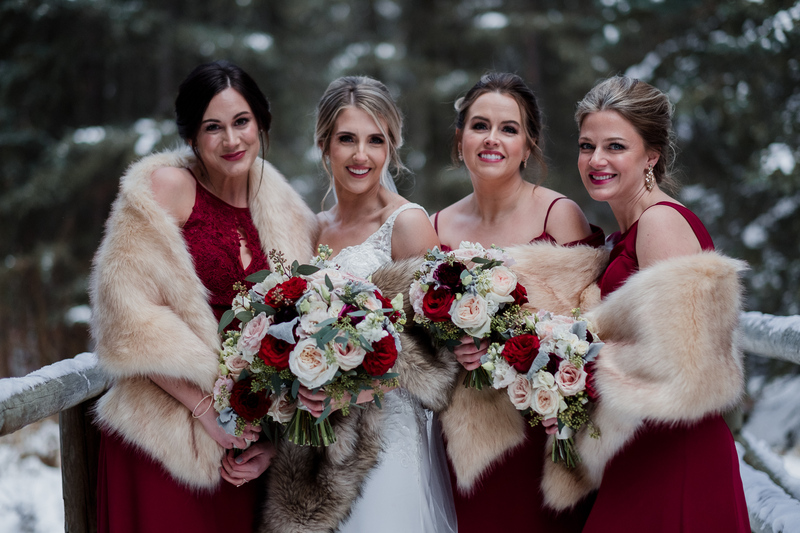 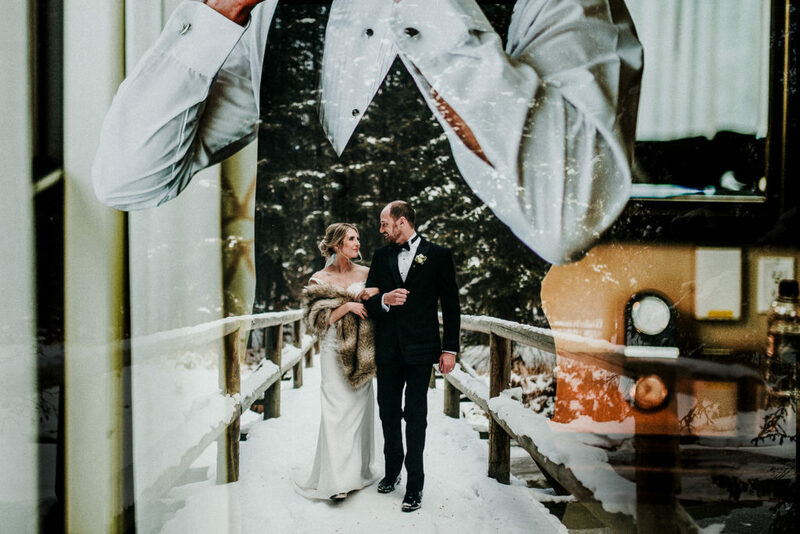 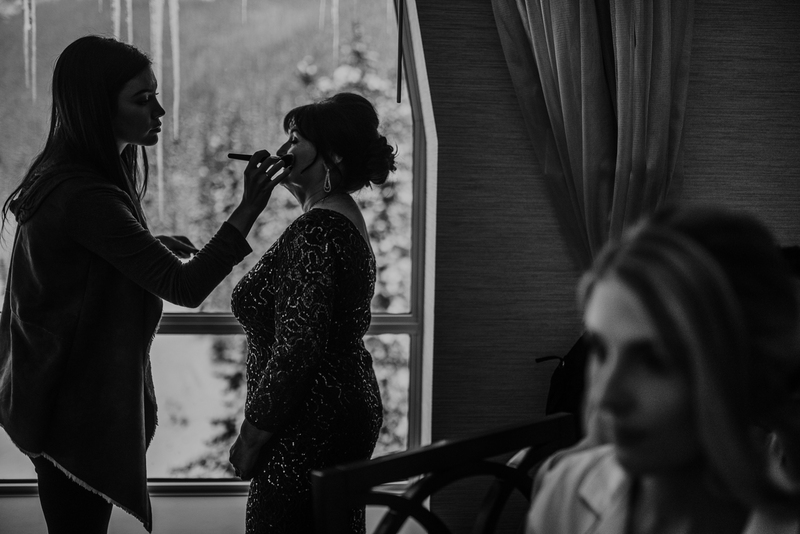 An intimate and luxurious wedding at Chateau Lake Louise, Canada’s winter wonderland. 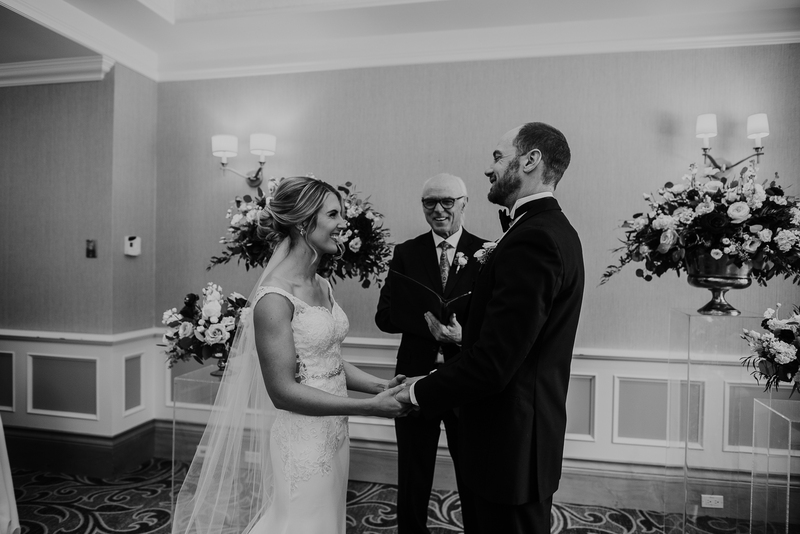 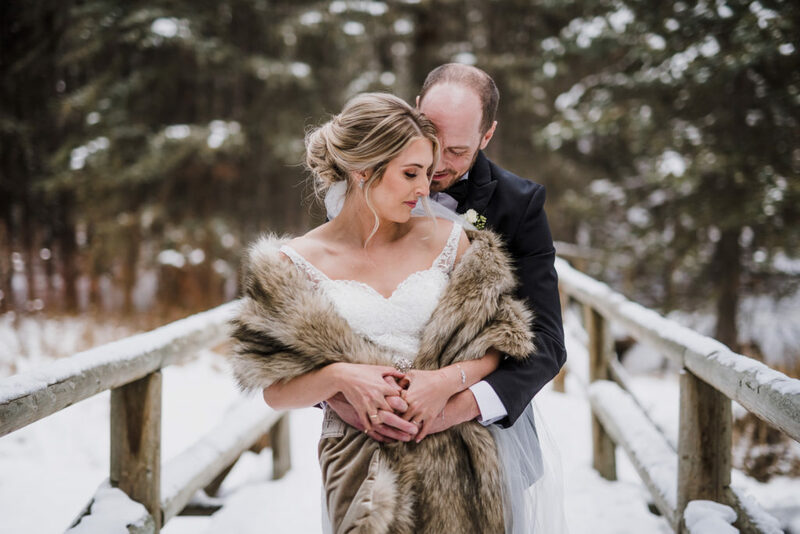 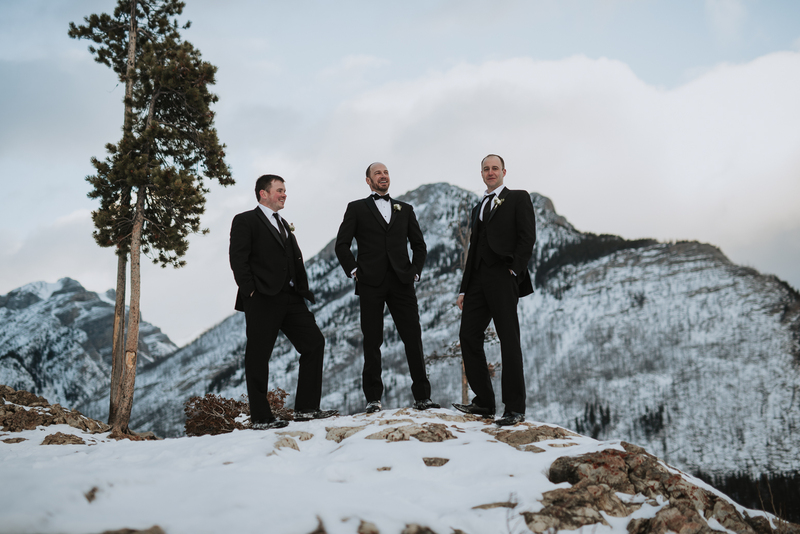 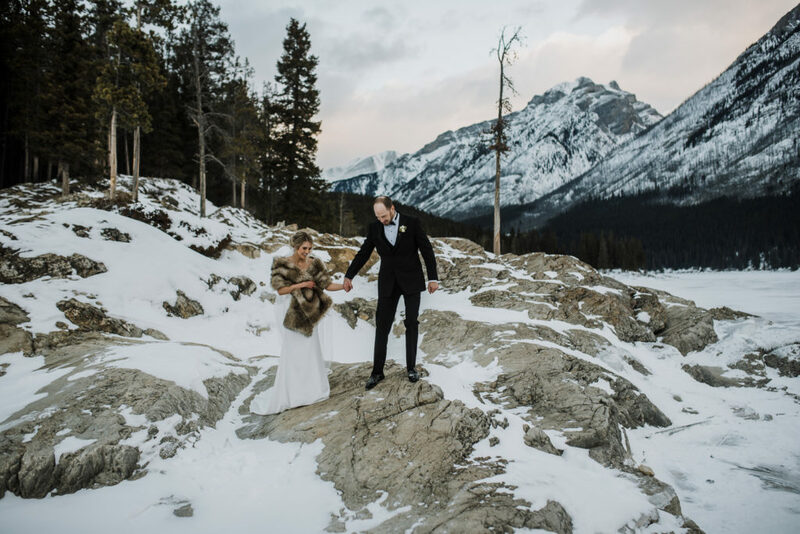 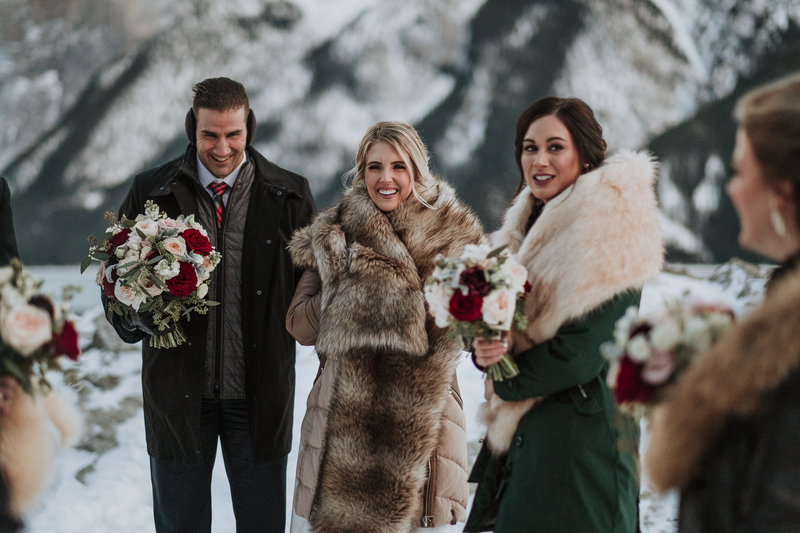 Krystal and Brian flew in from Newfoundland on our east coast to be joined by the closest family and friends to share their vows amongst the Rocky Mountains. 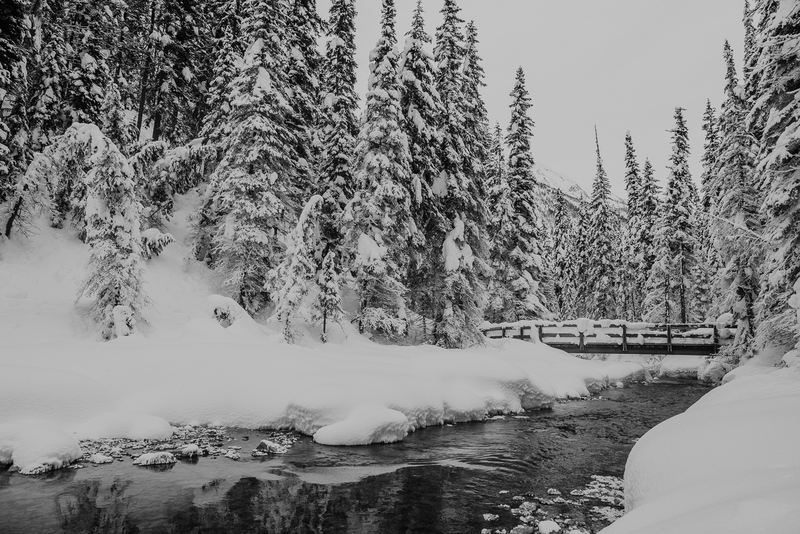 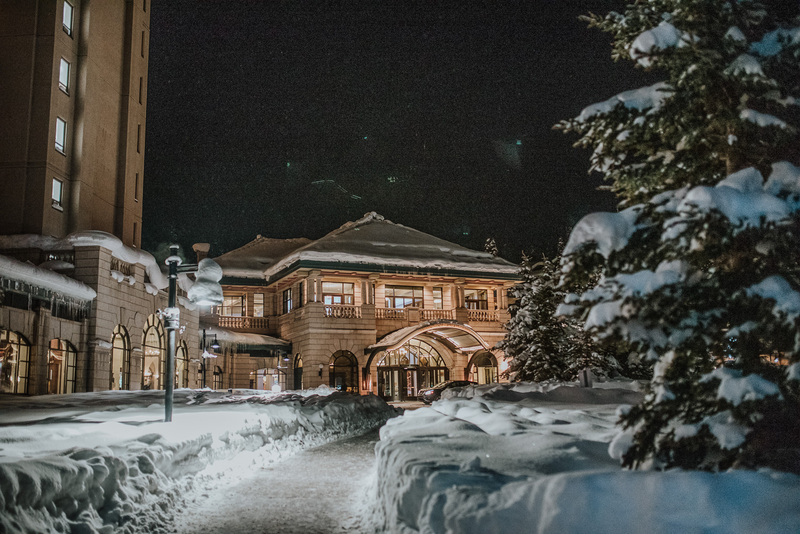 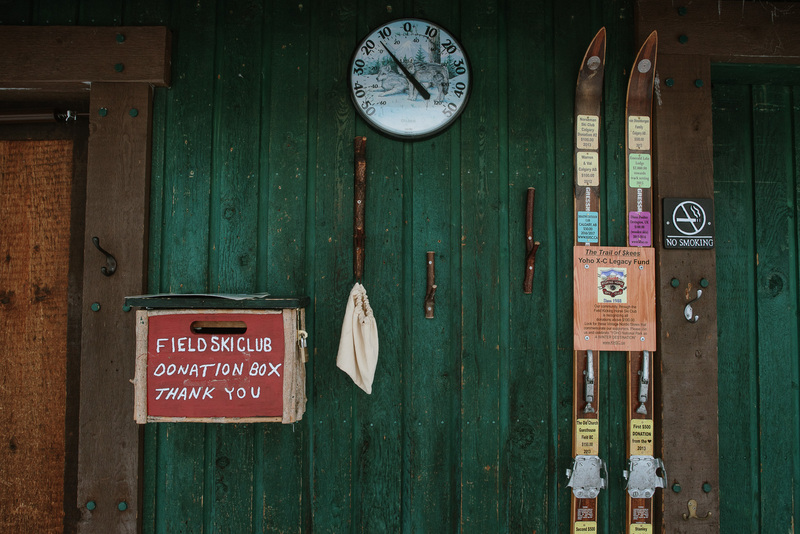 Arrive in Lake Louise in the wintertime is one of the real joys in life and sometimes you forget that a place like this is real. 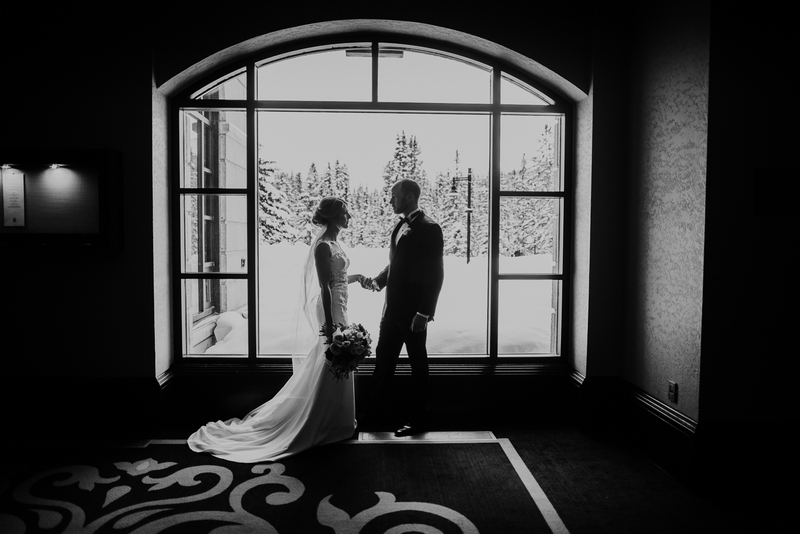 Similar to the rest of the Fairmont hotels you are treated to a backdrop that you often can’t believe is real. 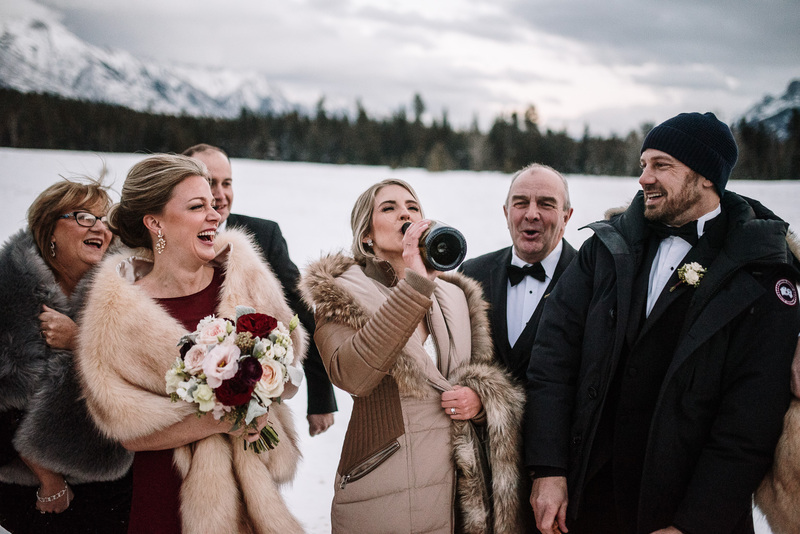 That is what these two were gifted on their wedding day. 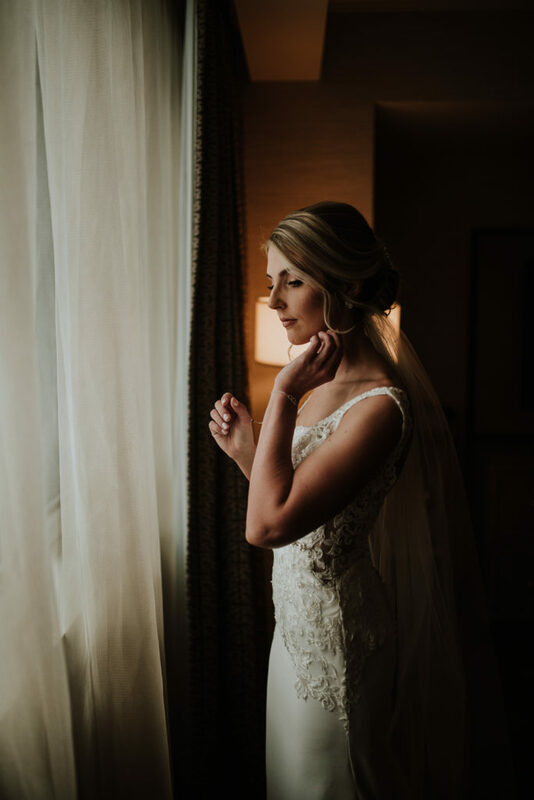 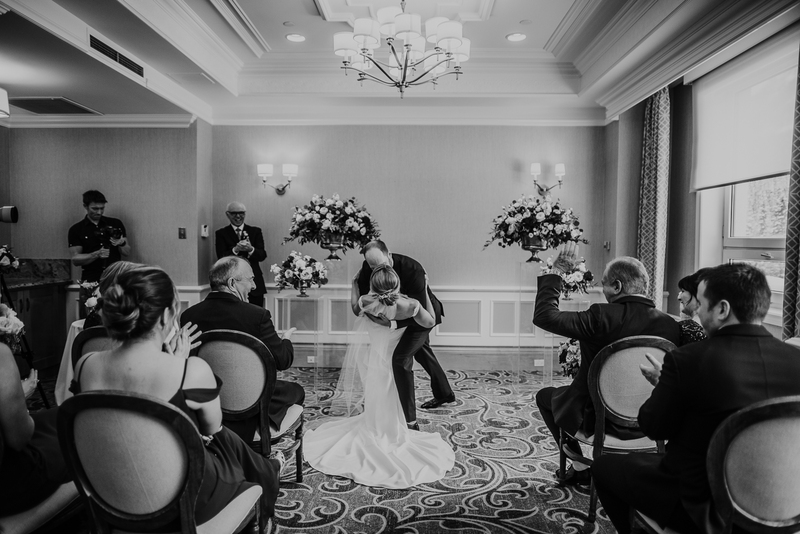 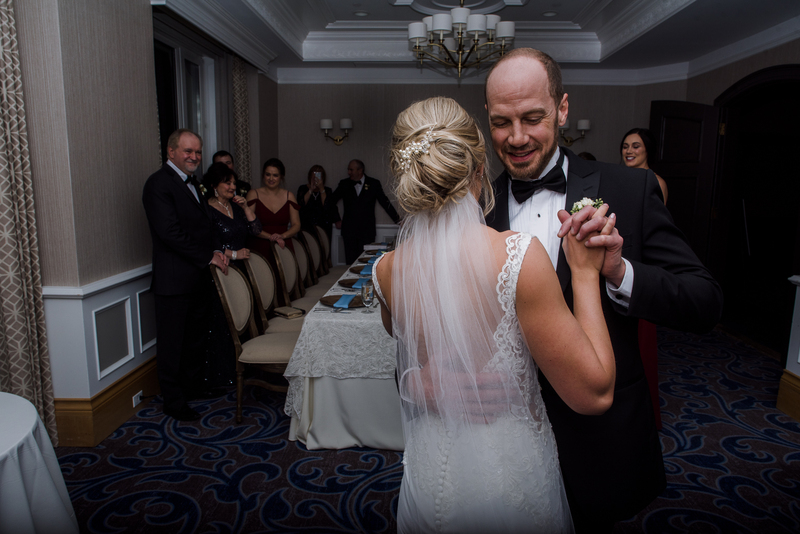 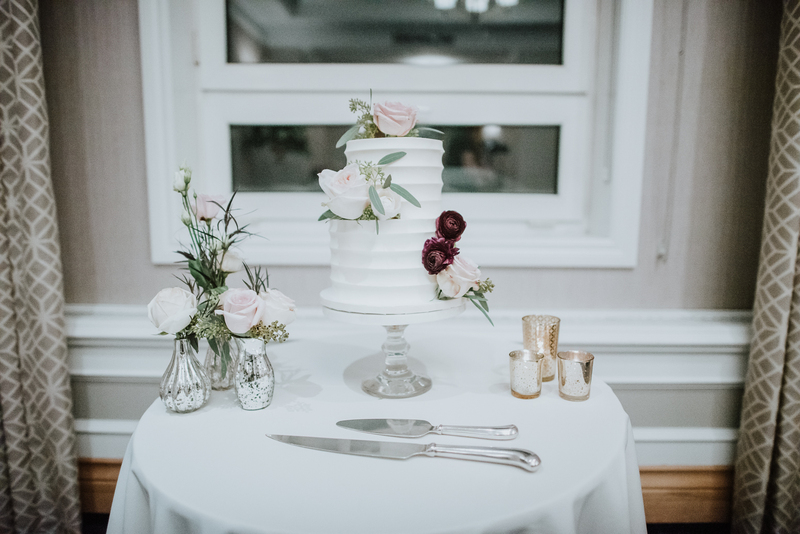 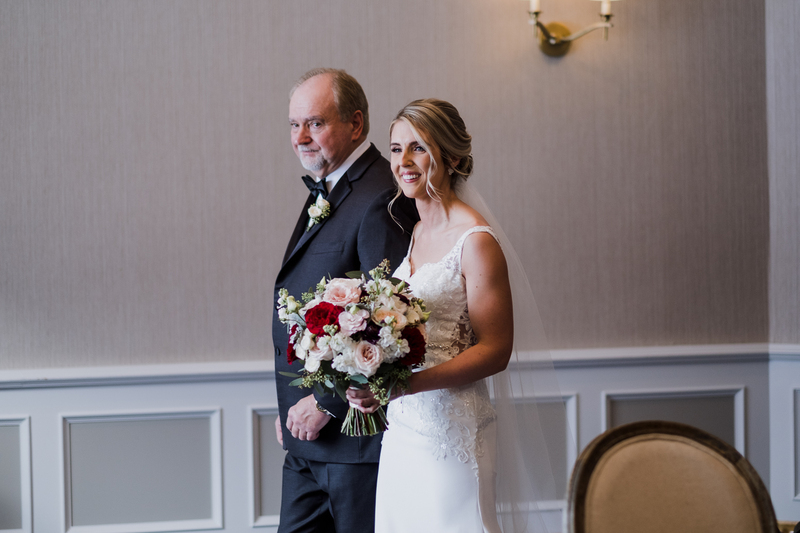 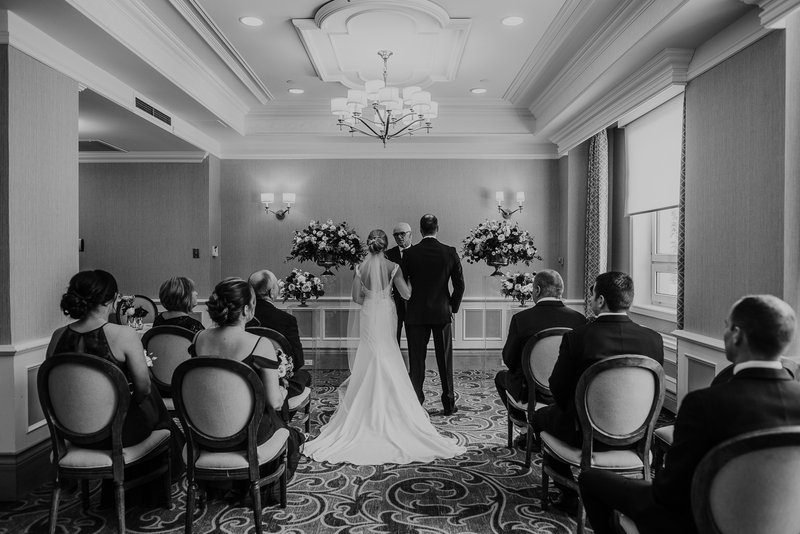 With the guidance and help of Ashley from Signature Weddings we had such a beautiful and elegant day. 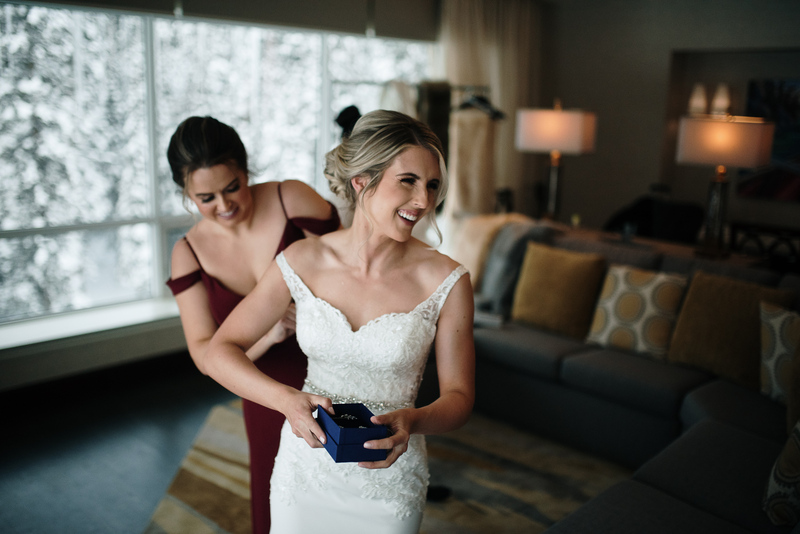 I can honestly say that there are no two weddings alike. 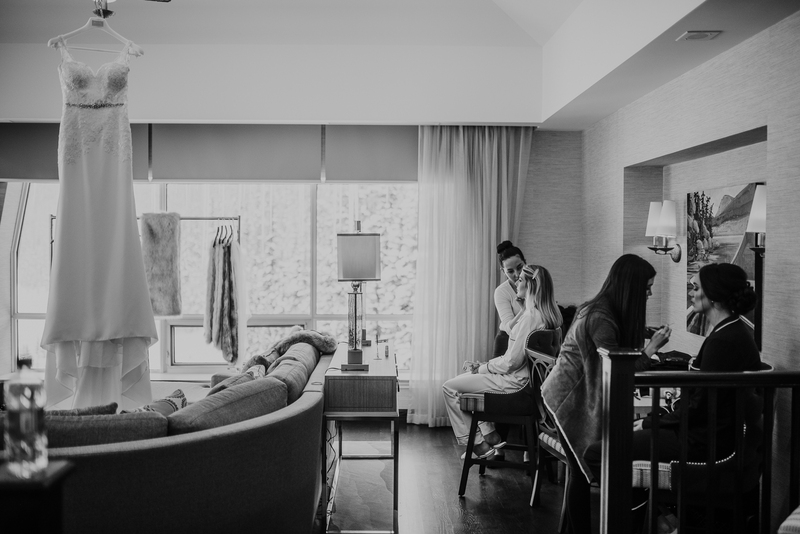 Some days are very busy, some are multi day some are a few hours in length and on occasion I am invited to be a part of day like this.  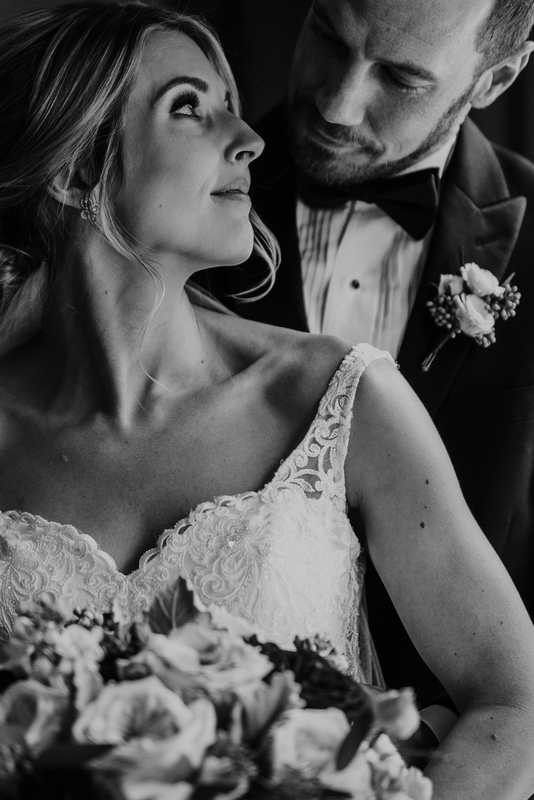 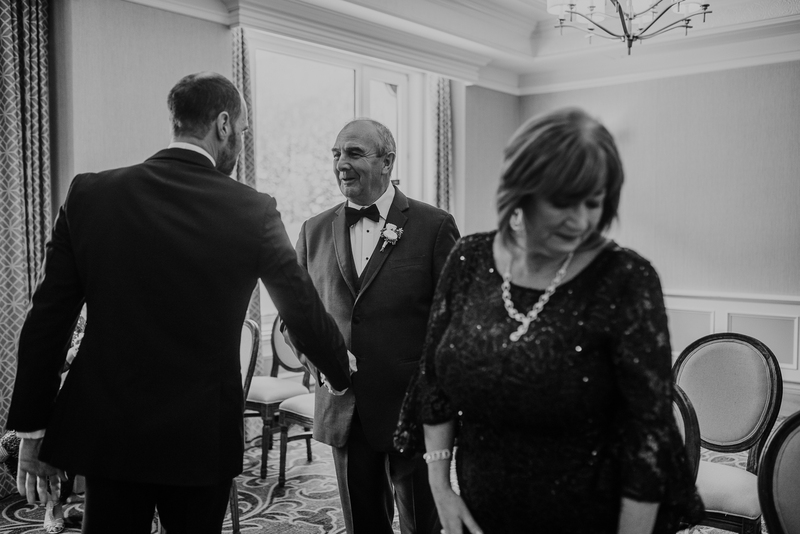 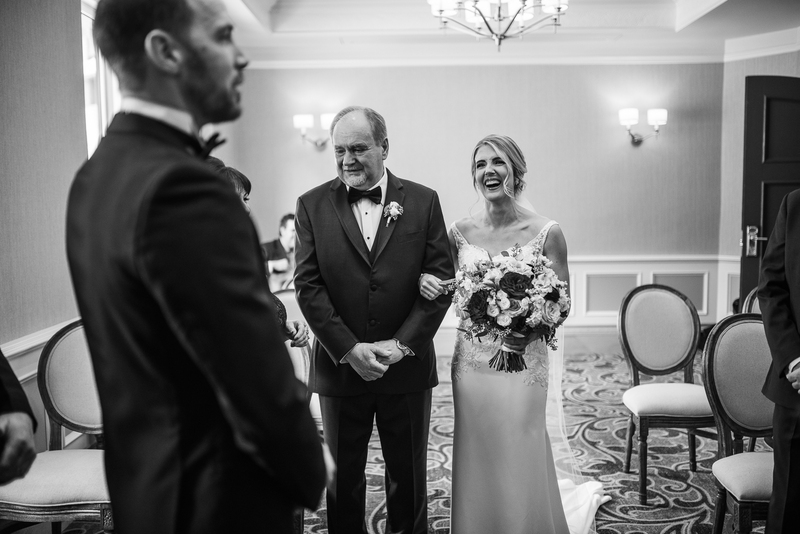 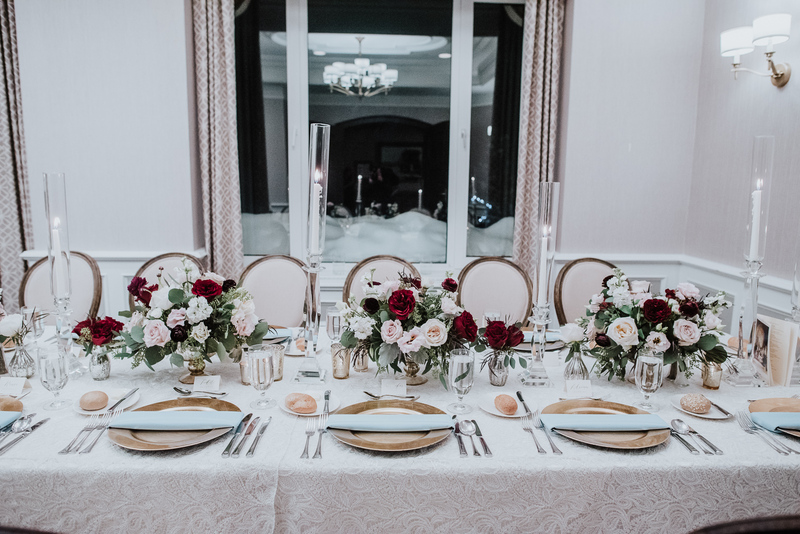 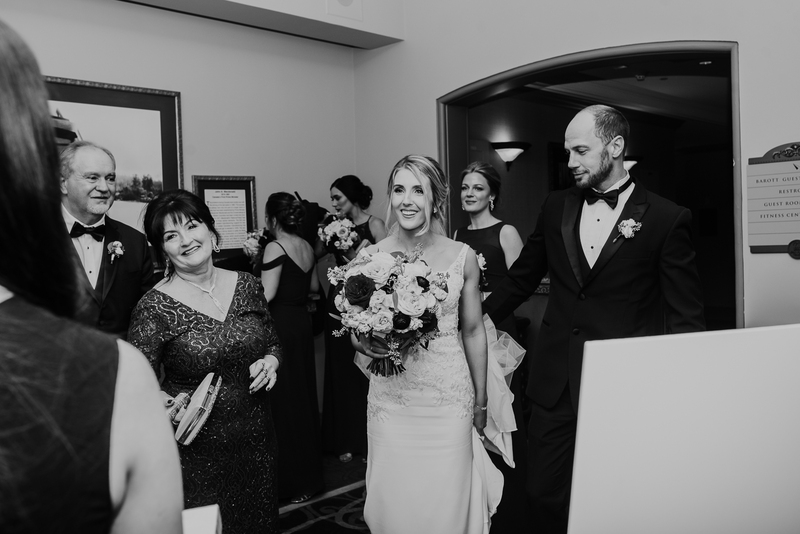 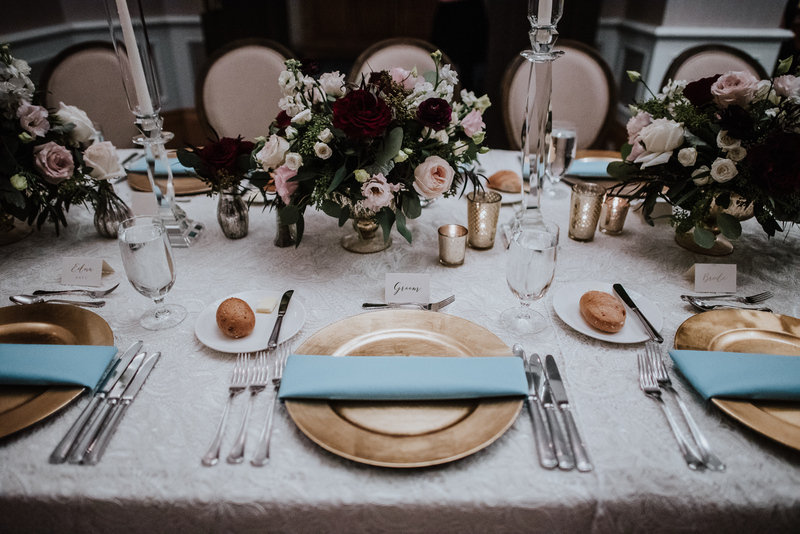 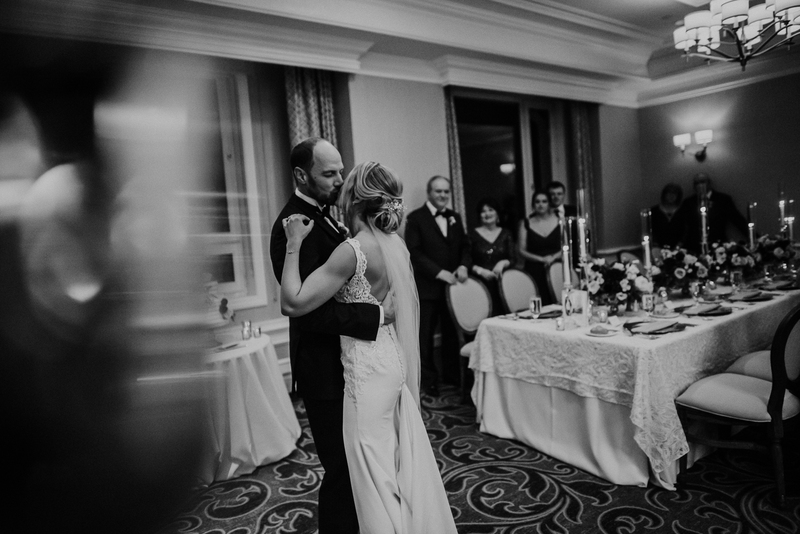 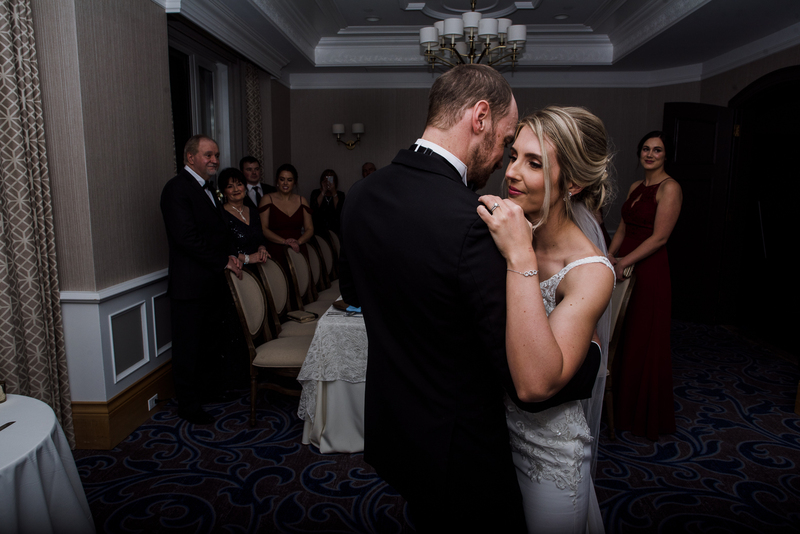 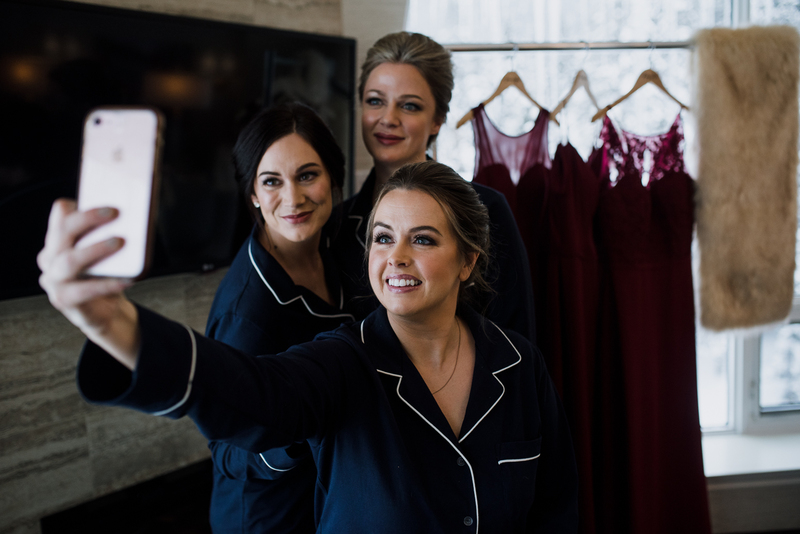 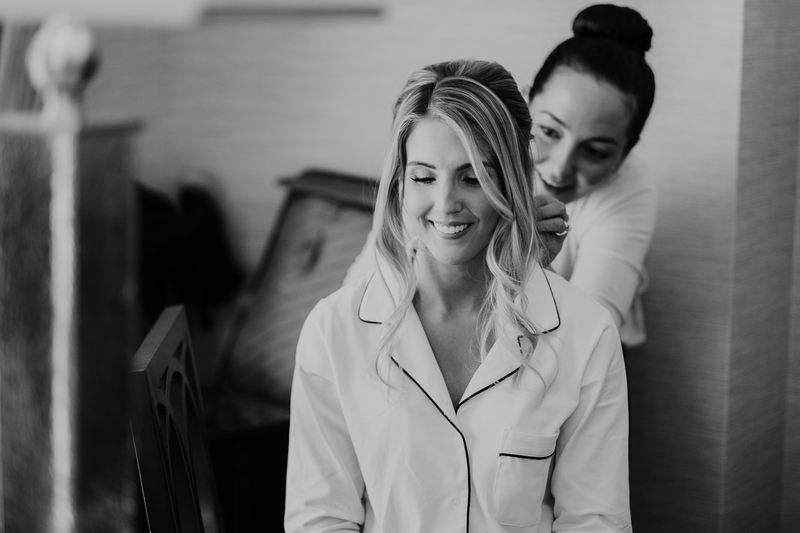 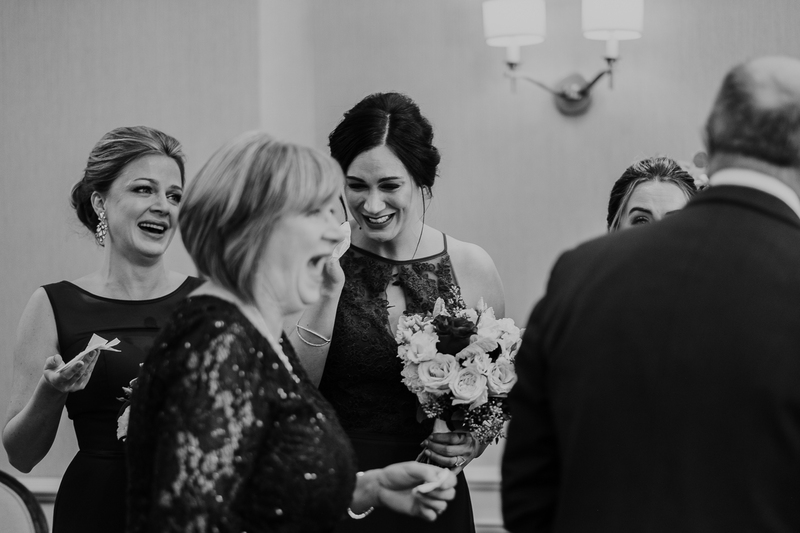 With such a intimate gathering you can not help but feel like part of the family and I am so humbled to be treated that way throughout the wedding. 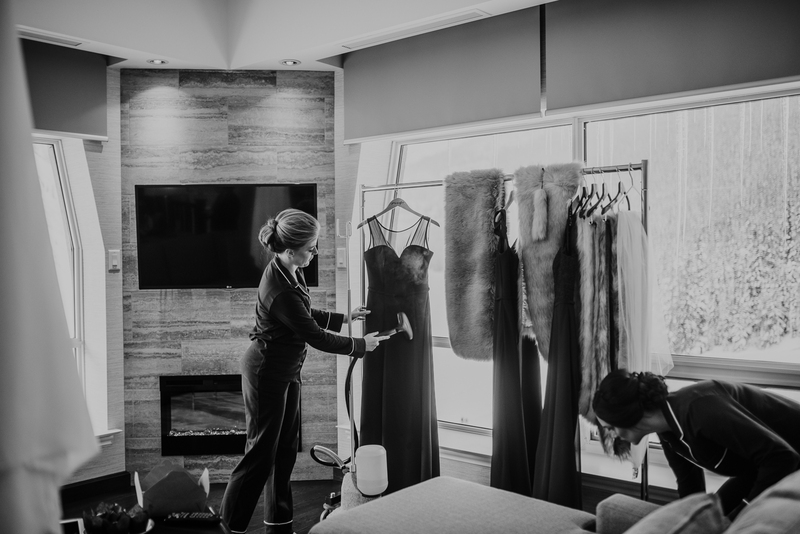 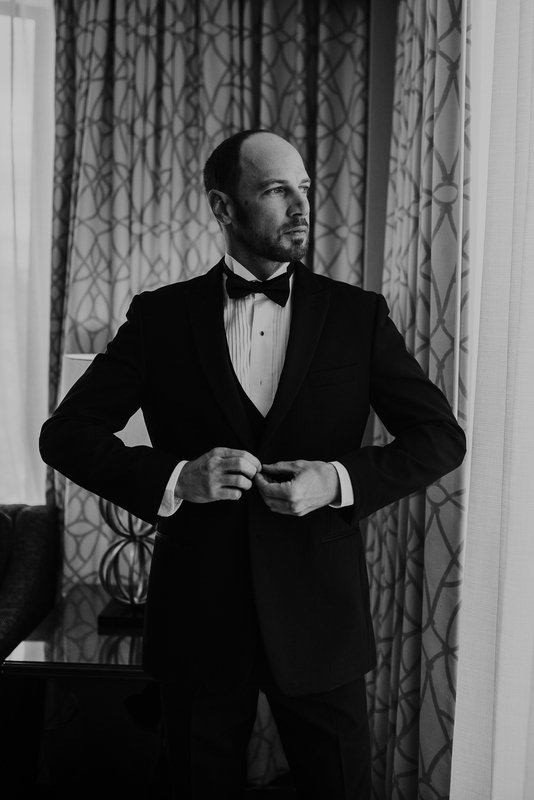 I arrived to meet the girls getting ready in the Marquis De Lorne Suite and immediately I was in the middle of the action. 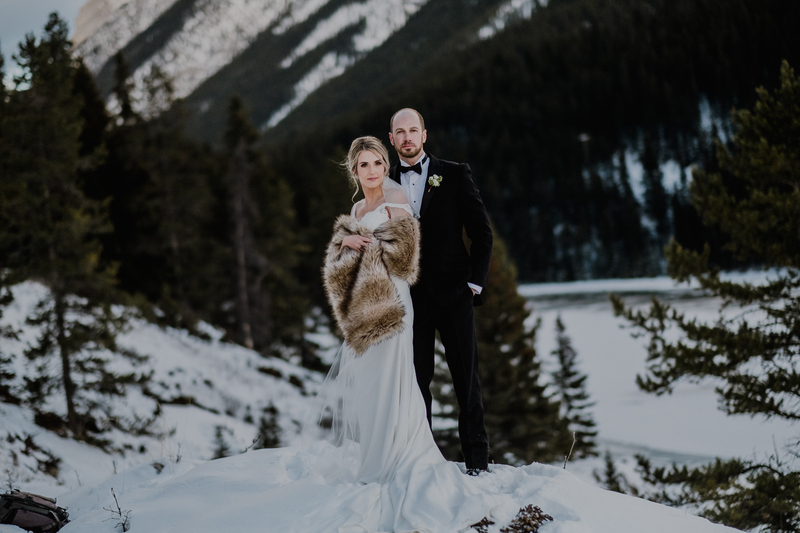 We had a beautiful, albeit a little chilly (to be expected in January ) day wandering the parkway before coming back for their first dance. 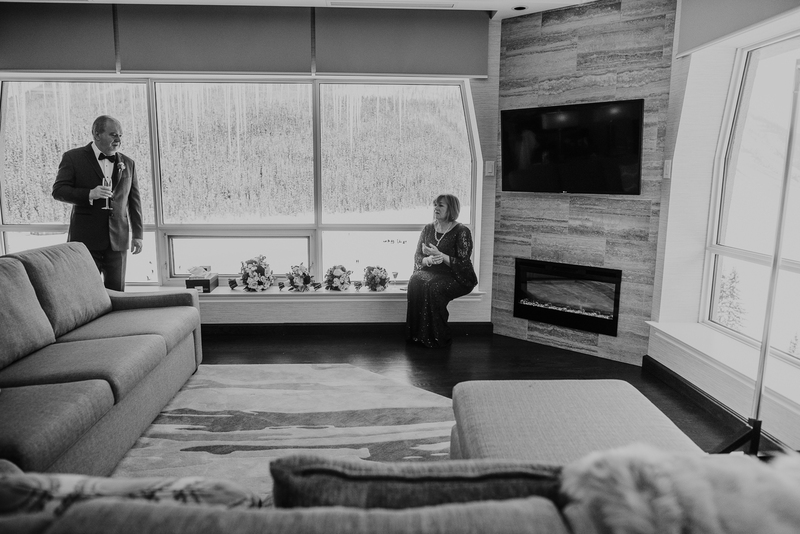 Often in a quiet setting like this I stay to capture those first few moments of the reception before saying goodbye to let the family enjoy their evening in privacy. 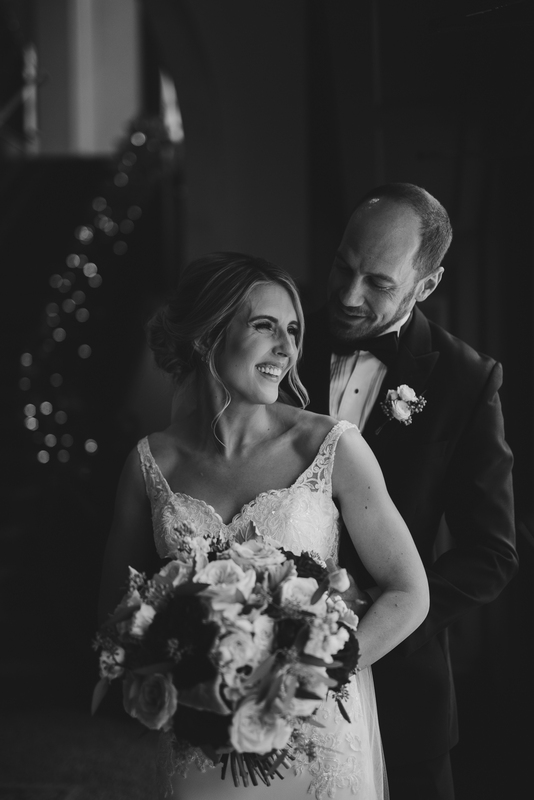 Please sit back and enjoy their wedding and a massive thank you to all those involved.